It has long been a family tradition to make gingerbread houses with my mom. Each year, close to Christmas, we would get to create our own house. Now that my siblings and I are older the grandchildren get to carry on the tradition and create their own house each year. 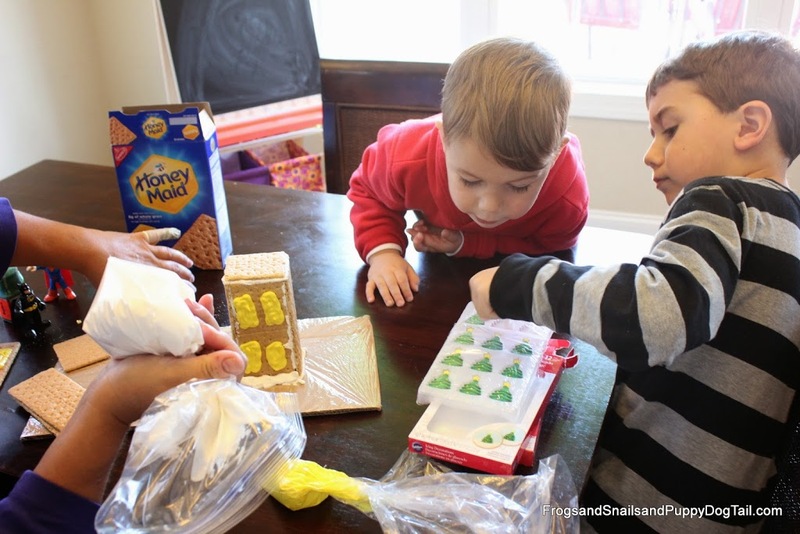 This year we decided to do something a little different and try a Honey Maid Graham Cracker House. 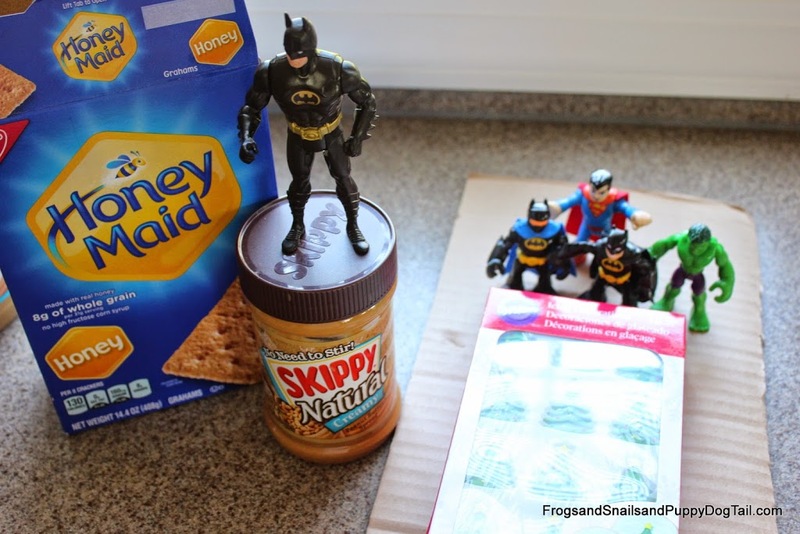 Since I have 3 boys, and after talking with my mom, we thought what better then a Superhero Graham Cracker House for them. We could not wait to get started! 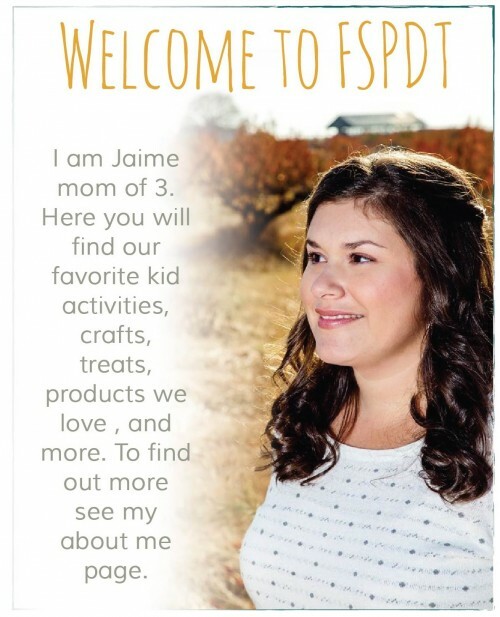 Go to Walmart.com and get a coupon for your shopping trip! I also love making yummy treats during the holidays. This year I tried something new for us, Skippy Peanut Butter Balls. My are they yummy! To get started I first had to make a trip to one of my favorite stores, Walmart! 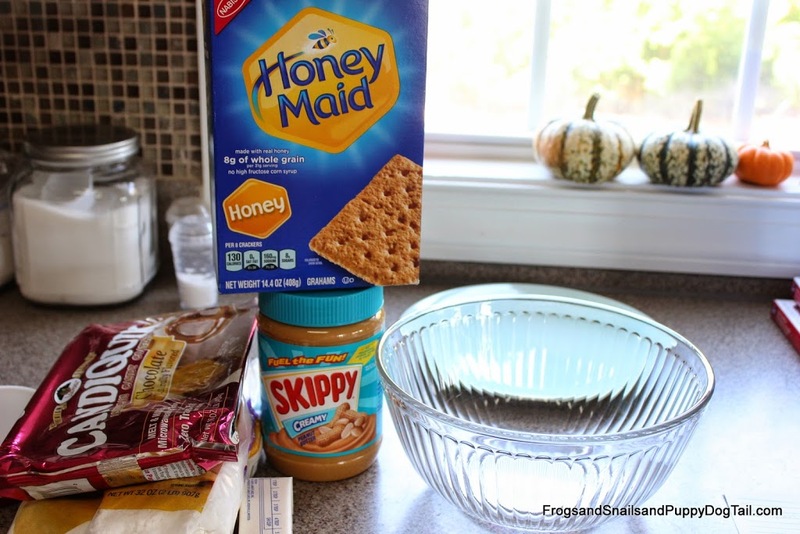 I had to pick up some Skippy Peanut Butter and Honey Maid Graham Crackers. 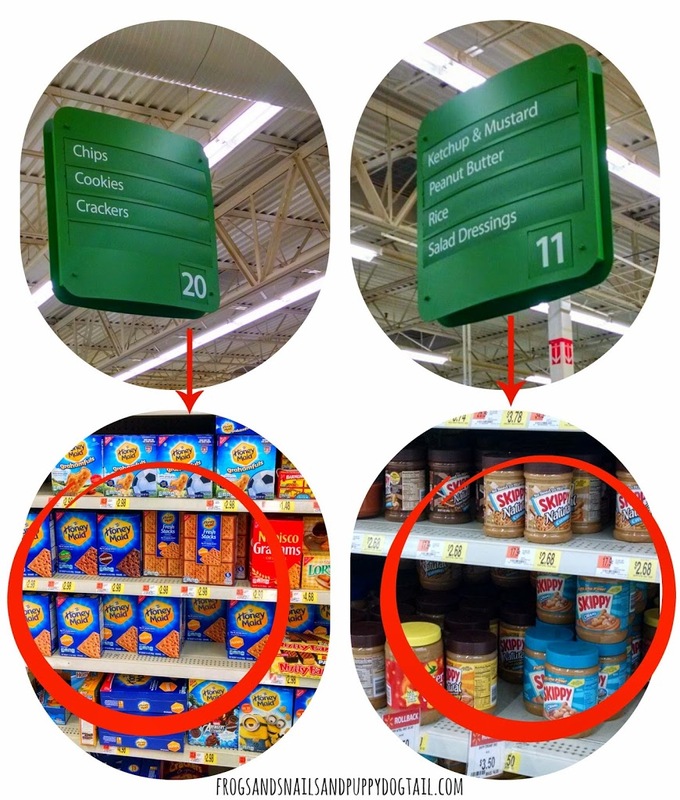 All the aisles are clearly labeled for quick shopping. 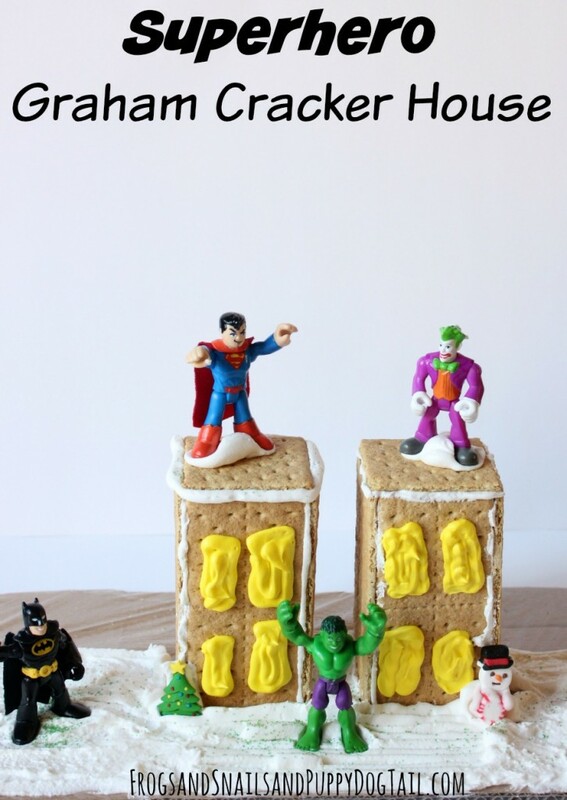 I am going to start by sharing our graham cracker house first. My moms gingerbread frosting she brought over- I think peanut butter might work too to stick the walls of the house together. 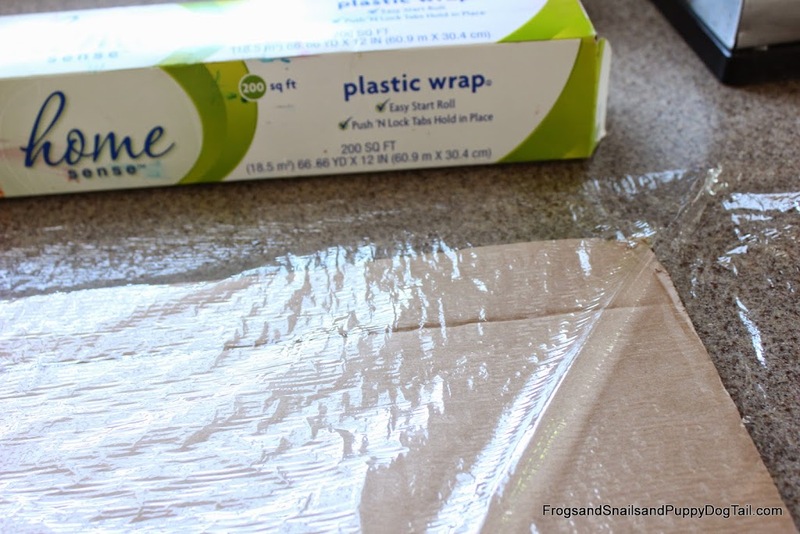 I cut up a few pieces of cardboard and wrapped with plastic wrap. 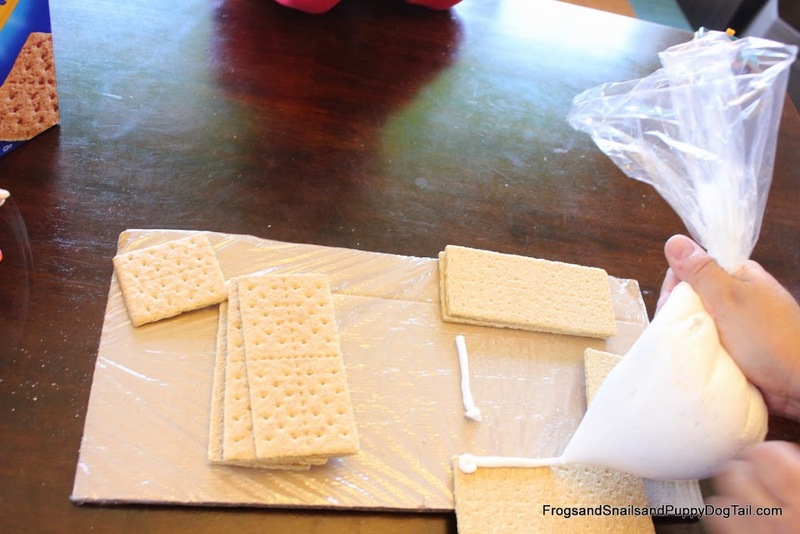 This was our base for the graham cracker houses. I also had a few candy decorations for the kids to add to the house that Little Brother picked out. My mom took over gluing the house, or building, together. After 20+ years she is a pro at this! Run frosting along the bottom and on all the sides. Then stick in place. We made two houses or buildings. Once the buildings were together I added yellow frosting for windows. We wanted the “house” to look like city buildings for the superheroes. The kids added the candy tree, snowman, and superheros with a little peanut butter. 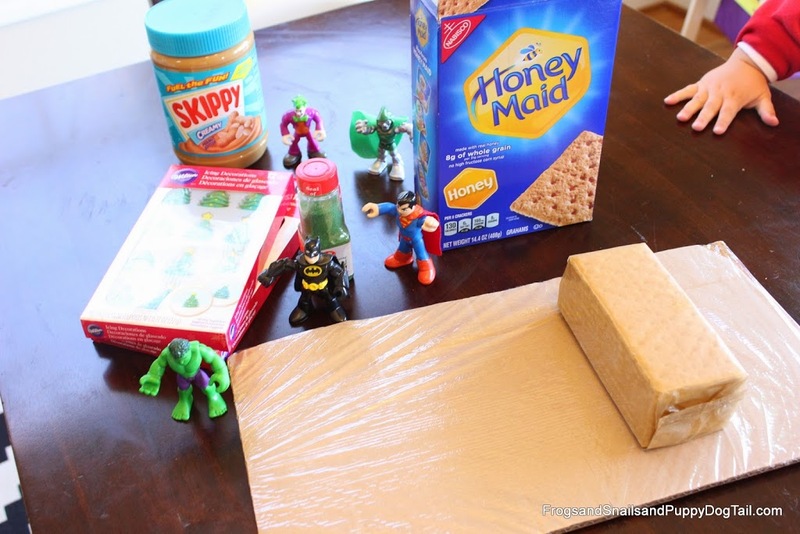 Now we had a Superhero Graham Cracker House/Buildings!! The kids loved it and so did we. We not only made a cool house but we also got to spend time with my mom and make lasting family memories with my boys. 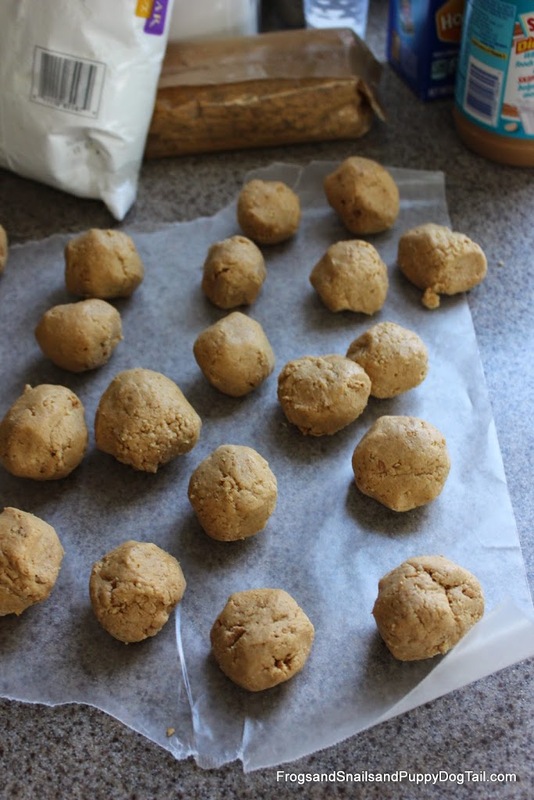 Now on to the Peanut Butter Ball Recipe we made. 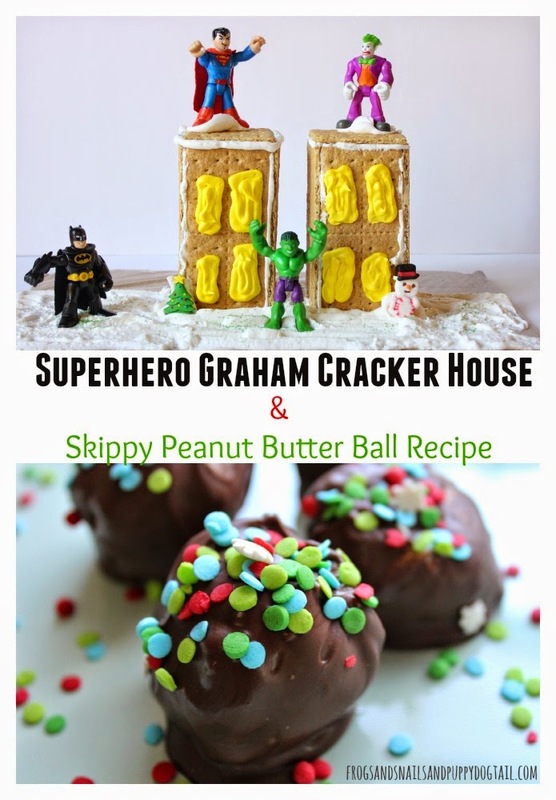 I thought I was original in making peanut butter balls with graham crackers but it seems people have been doing it for years. 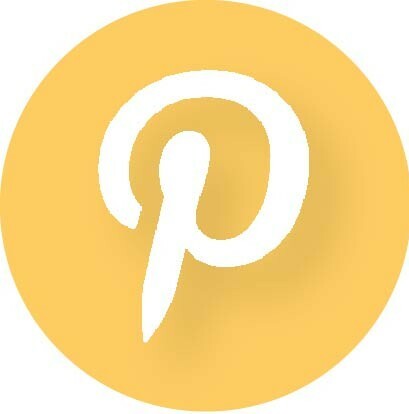 Well to me it is new and fun, lol. I had already purchased what I needed from Walmart to make our yummy treat. I melted 1/4 cup of butter in a glass bowl for about 15-20 sec in the microwave. I then added equal parts of everything else. 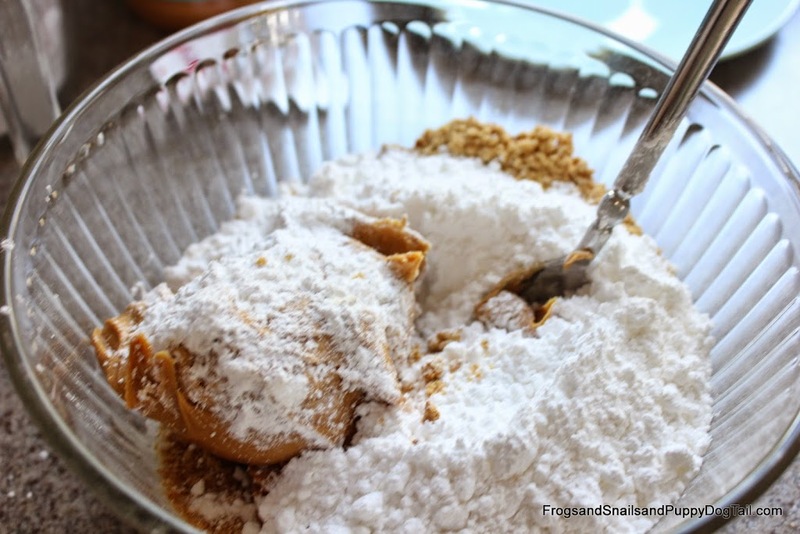 2 cups of graham crackers crushed and 2 cups of powdered sugar added to the melted butter. I mixed with a spoon to start. Then moved to mixing it with my hands. Once it was well mixed I rolled them into little balls and placed on wax paper. I then melted the chocolate in the microwave. I laid out more wax paper. 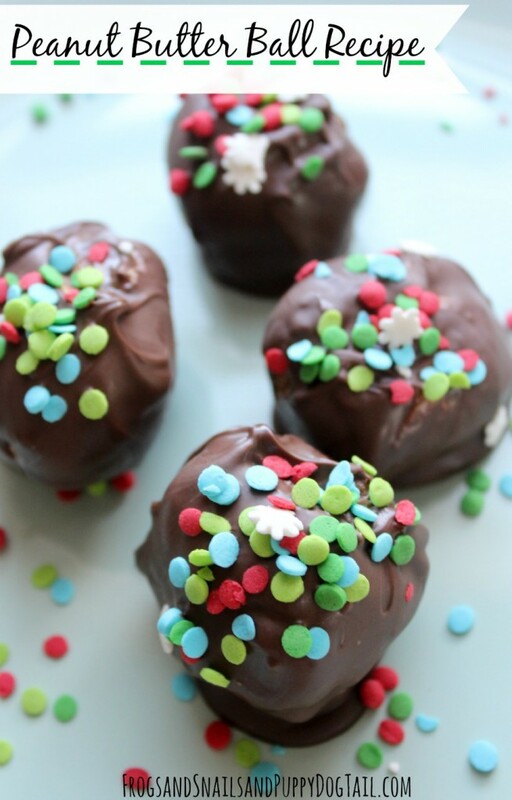 To make it fun and festive I grabbed some wintry sprinkles to add to the peanut butter balls. 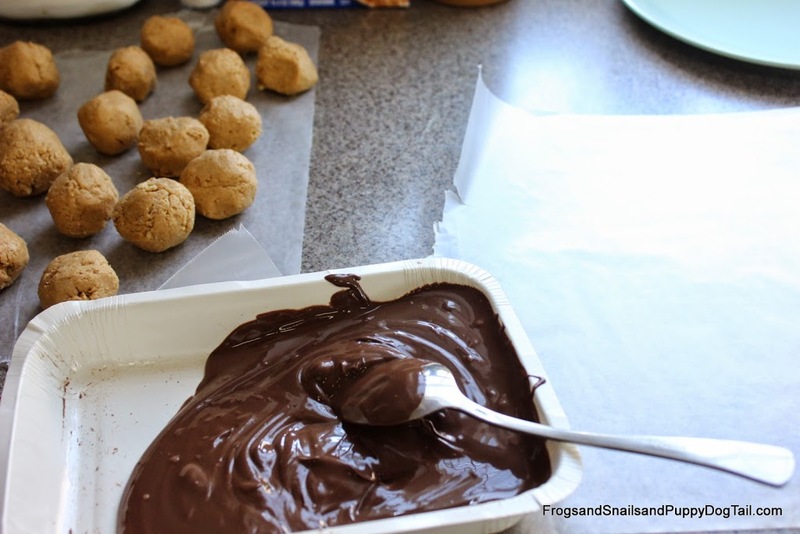 I used the spoon to cover each ball in the chocolate. 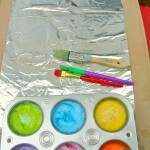 Once covered I placed on the wax paper and added sprinkles on top. I did this over and over until they were all done. Now it was time to taste them! These are so good. 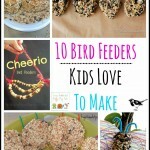 You want to just stuff your face with them all at one time, lol. But moderation is key. We gave some to my mom for her and my dad and kept a few too. Even the kids enjoyed them. It looks like we might have a new family holiday recipe to make each year now. 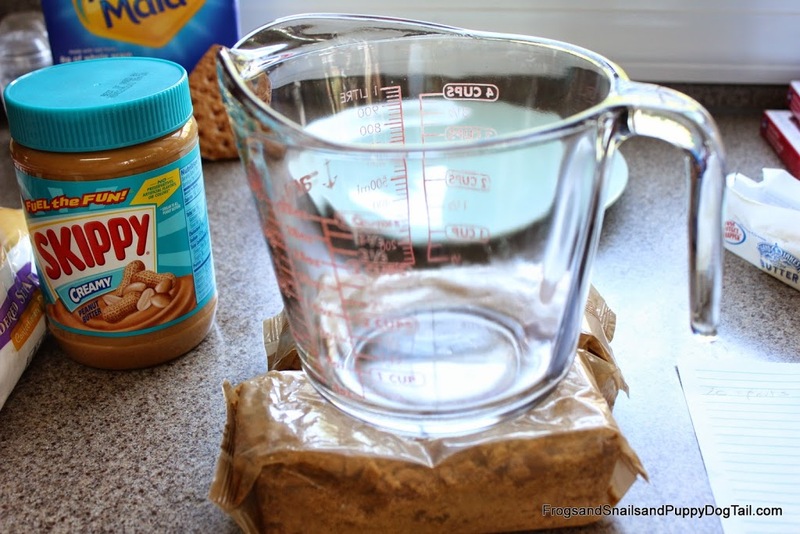 I love easy baking or no-baking ideas and this is one. 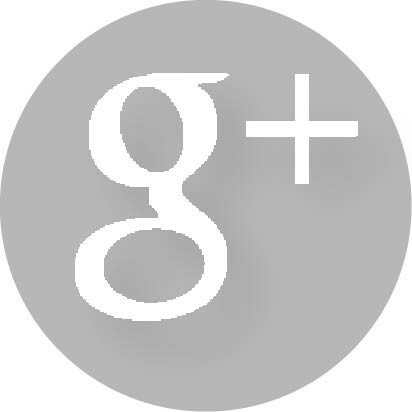 Follow Honey Maid on Instagram.